True fact: I’m not really a huge chocolate fan. I love the occasional brownie or a few bites of a really amazing chocolate cake, but generally, it’s too sweet for me. I eat a few bites and I’m bored or feel like I’m developing cavities. Heavy chocolate desserts, while delicious, make me crave ice water to cut through them. I guess I like a little more contrast in my sweets. Like, the salty element of chocolate-covered toffee, for example, or the burst of tartness that comes from the combination of fruit and dark chocolate. Chocolate in the form of sweet, baked goodness, though, just doesn’t get me going the way it does the majority of folks. Which is why it’s so strange that I can take down these Oreo cookie truffles like a cheetah to a gazelle without feeling Chocolate Overload™. Maybe it’s the whole block of softened cream cheese that gets blended with the crushed Oreo’s that makes these little bonbons sweet and deeply chocolatey, but slightly tangy and so delicious you just keep going back to them. If that combination of cream cheese and Oreo’s gives you any pause, don’t let it. Something completely magical happens when the two are thoroughly combined, creating a dense, cakey interior that is like the fudgiest cake you’ve ever had, but never overwhelming. Dipped in a simple, vanilla white chocolate bark, when hardened, create these two-bite packages of perfect. I kept the decoration limited on these, sprinkling some leftover Oreo crumb on top to signal what might be inside, but you could make these really glamorous with some edible glitter, luster dust, or even just some pretty piped CandyQuik designs. An even simpler idea for a stepped-up presentation is to tint the white bark to match a theme or holiday. I love the thought of pink and white truffles in little paper liners packaged up in a cute box for Valentine’s Day. I’ve also made these with mint Oreo’s and tinted the coating pale green, but you can also change the cookie completely. 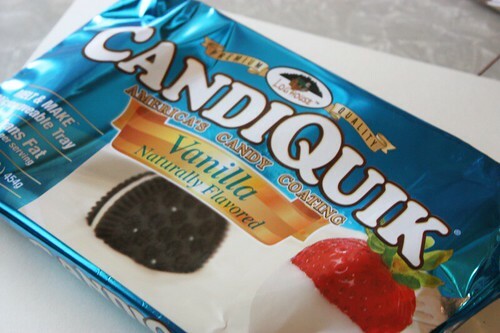 I’m thinking a buttery shortbread cookie with a maple-extract-spiked CandyQuik would be amazing, too. 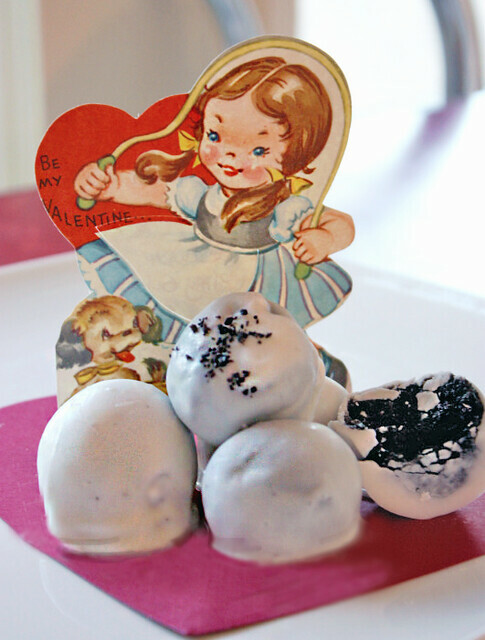 Oreo or Lorna Doone, these make an adorable sweet treat that trumps those tired cupcakes and cake pops, for sure. What other combinations would you try? 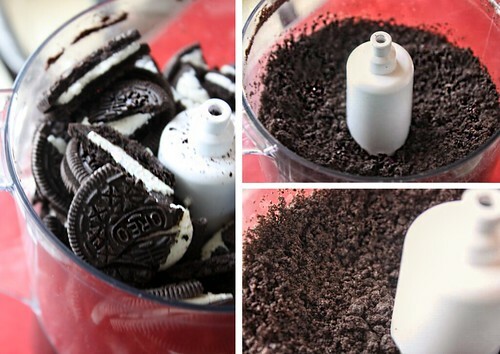 Using a food processor, pulverize the entire bag of Oreo’s – cream and all – into a fine ground. If you don’t have a food processor, you could absolutely use a large resealable bag and a rolling pin or heavy can, but I suggest doing it in batches to really get a fine sandy texture as shown above. Set aside approximately 1/4 of a cup for decorating tops, if desired. If not, leave it in. Mix the rest of the Oreo crumbs with the softened cream cheese and stir until thoroughly combined. 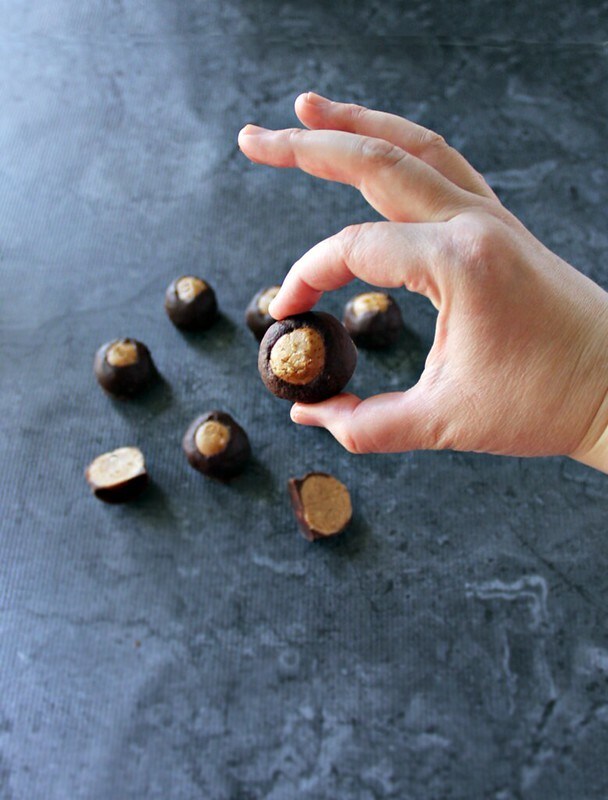 On wax paper or a silicon baker’s mat, roll the truffle mixture into small balls and refrigerate for 30 minutes to firm up. 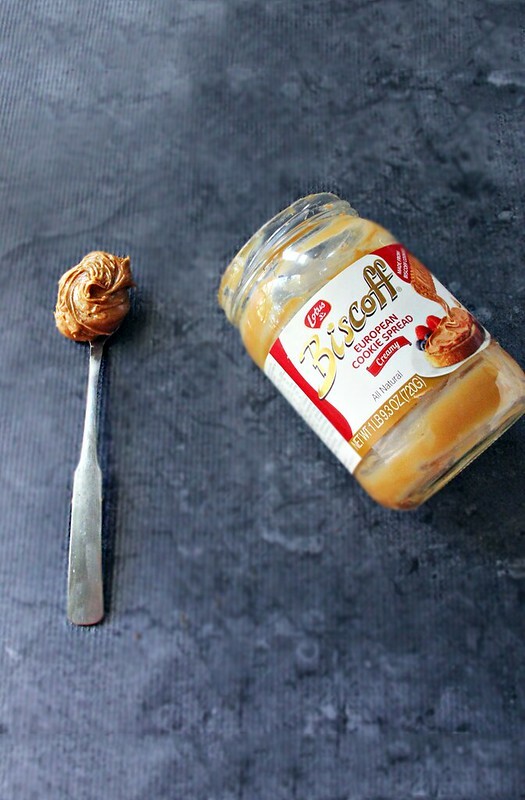 This will prevent crumbs from falling into the melted bark once you begin dipping. Before removing the truffles from the refrigerator, melt the bark in the microwave per package directions. Roll the truffles individually through the melted bark, allow excess bark to drip off, and return to the wax paper or mat. Before they dry, sprinkle the top of each truffle with the reserved 1/4 cup of crumbs and allow the chocolate shell to harden. Share with someone you love or proudly consume them all yourself!